4 Beds 3 Baths 1 Partial Bath 3,056 Sq. ft. 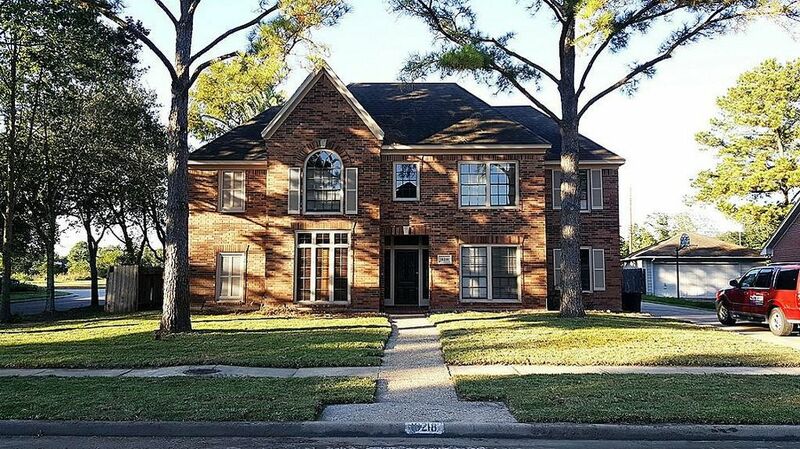 Village Builder's Classic 4/2.5/2 Detached 2 Story on corner lot. Recent Tile floors throughout 1st floor. New Carpet just installed upstairs! Large island kitchen w/ Corian solid surface counter tops. Large Open Den w/Gas Log F/P & detailed wood trim. Study with custom built-ins. Master suite w/custom shower, double vanity & Whirlpool Tub. Game Room. Fresh interior & exterior paint. Seller said, put New SS Appliances in Kitchen! Gas 5 Burner Cook Top & Convection Oven! New Roof B-4 Closing! Directions: I-10 Go North on Barker Cypress, R. on Keith Harrow, R on Danebridge, L on Knotty Green.From 290 Go South on Hwy 6, R. on Keith Harrow, L. on Danebridge, L. on Knotty Green.